One of the things I like most about the entrepreneurial journey is learning new things. These past two years have had the steepest learning curve I have ever encountered. Being a fast learner is definitely an advantage for an entrepreneur or someone wishing to create her dream career. But this post is not about what and why should be the areas to expand your horizons (we'll deal with that another time). It's about how you can learn from the experience of others who've had the chance to go through the same path and are now sharing their knowledge and insights with others. At a certain point or another they have contemplated that bringing value to others will be also the source of their own success. Facebook groups are a great example of how this is happening. I personally have a love/hate relationships with Facebook. I understand its impact but I am not sure it gives me real value, especially compared to the time spent there. So I started this post with the intention to share all the Facebook groups I joined, but then came to realize I won't serve you well doing so. There are hundreds of other blogs who do that. 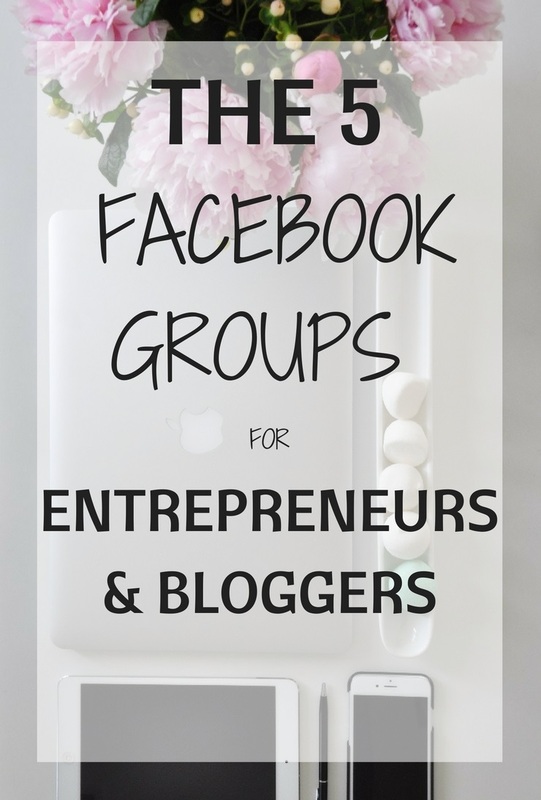 Search for any kind of combination with "Facebook Groups for Bloggers" and you'll have it there. Let's face it, what we are trying to accomplish by joining these groups is an additional channel to post our own work and invite other bloggers to visit our blog. That is why many of the successful groups have limited posting of content to the dedicated threads. So I would like to offer you a different solution. If you really want to be involved, connect, share, comment and check out other people's work (and there is plenty of great blog posts and offerings out there) better limit the number of groups and choose the ones you join by creating a combination of a variety of subjects based on your goals and fields of interest. Let me explain why and how. Why? There are many groups with low traffic. Something about the energy is not picking up, members are not involved or encouraged to share. To keep practical, choose the ones that can bring you the most information, value and connections. Start by interacting and getting to know the creators/admins of the groups and see who you relate to the most. 1. Social Media Advice – Because that is what it is all about - My favorite group by far is the Blog+Biz BFFs, hosted by Melyssa Griffin. Melyssa offers lots of advice in social media and especially on Pinterest, but I find the atmosphere on this group the most friendly, welcoming and cooperative. With many of the groups turning very strict on what and when to share, this group is somewhat less harsh. 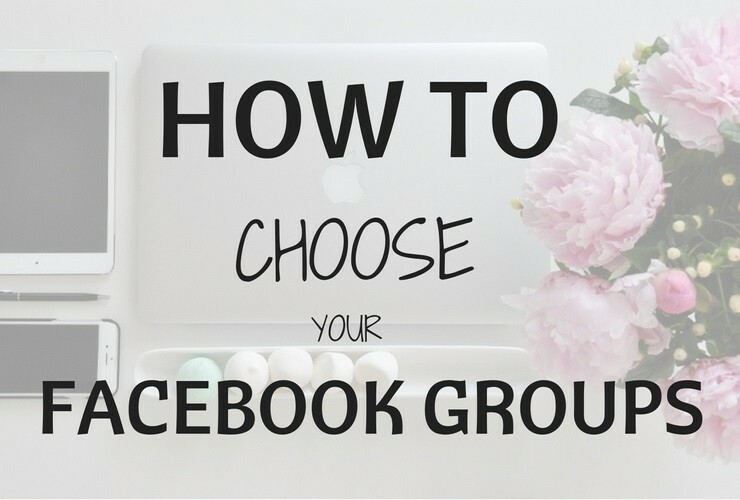 Other groups on social media can be ones that focus on opening your own Facebook Group, managing Facebook ads, etc. 2. Networking, Encouragement and Support for Bloggers - Here I have two groups which I like and can recommend as places that create a supportive environment and bring results. The Blog Society is a relatively smaller group where members are less active but it provides the opportunity for members to stand out and not get lost quickly in the endless stream of new feed. It is a great advantage. Blogging Boost is a larger group with more strict rules about what and when you can post, so it is in many cases it will be harder to get responses. Yet, the community is very supportive and welcoming so it may be worth while to invest some of your hustle time in this sphere. 3. Collaborative Recommendations – Because this is what can bring you traffic and help with Affiliate Marketing - This kind of group is the place you can collaborate on topics within your blog's niche where you can share your posts on similar related stories such as recipes, fashion trends, vacation and travel ideas, etc. People are so overwhelmed with the amount of posts uploaded in the specified threads that they can hardly keep up with them. The best way is to add your content based on the relevant category. The VENNDY Club, is based on an offering by VENNDY, that allows users to collect their recommendations on their account, while at the same time upload the links created to a collaborative story. Collaborative stories create a collection of ideas and knowledge shared by different people, creating together a comprehensive solution when looking for a specific topic. It is also a small group but one of the best to share your posts, either separately or as part of a collaborative story. It is VENNDY's intention to offer bloggers a new way to enjoy affiliate marketing options. In order to do so, The VENNDY Club was opened to better understand bloggers' needs, challenges and aspirations in order to make sure VENNDY tailors the best tools and product to answer those needs. 4. Specific niche – Because not all blogs and businesses are alike - This is where specialties such as lifestyle, fashion, travel, restaurants, beauty and more can have the added value. I am a member in a few fashion blogs and unfortunately, to be honest, cannot say great things about them. Still looking for a good one and I promise I will update this post if I find one. Will be happy if any of you have anything to recommend. 5. YOUR OWN GROUP – Because that is the place you can really get to know your audience - If you have anything of value to share, and want to get to know your audience this is the only way to gather information and provide your audience with the best advice possible. It is not an easy task. I have seen groups open and find it hard to pick up for many reasons. So do your homework and plan for it ahead of time.